Student teams from 20 Dallas ISD schools got their marching orders on Thursday, Jan. 31, to make a positive impact on their communities through the 2019 Aspen Challenge. The teams will choose one of five challenges to develop solutions for, culminating in the Dallas competition in late March. The Dallas winner will compete in the final round in Aspen. They are challenged to tailor strategies to fit their individual communities. The challenge is an eight-week competition sponsored and coordinated by the Aspen Institute. • Develop a solution to reduce health inequity using community assets and identifying where more support is needed (issued by Tigee Hill and Jennifer Valenzuela of of Health Leads). • Restore and protect green spaces in Dallas so more community members will receive the benefits of being in a natural environment while helping support wildlife and biodiversity (issued by Megan Davis and Aaryaman Singhal of Groundwork Dallas). • Examine the concept of belonging as it pertains to mental health in the community and foster a culture of inclusiveness (issued by Jessica Gomez of the Momentous Institute). • Organize young people in your community to practice civic power and cultivate civic character (issued by Eric Liu of Citizen University). • Design a program that creates support for immigrants in the community to create an authentic state of welcoming (issued by Liz Cedillo-Pereira of the City of Dallas). 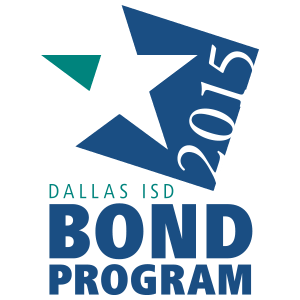 This is the second year for Dallas ISD to participate in the challenge. Partner city Louisville, Ky., is the other location participating in 2019. Last year’s top Dallas project was developed by the Emmett J. Conrad High School team. They focused on solving transportation issues for elderly, disabled and others who find mobility across Dallas stressful.